Lieutenant Joe Leaphorn is forced out of retirement in an effort to defend a simpleton accused of robbing a trading post. 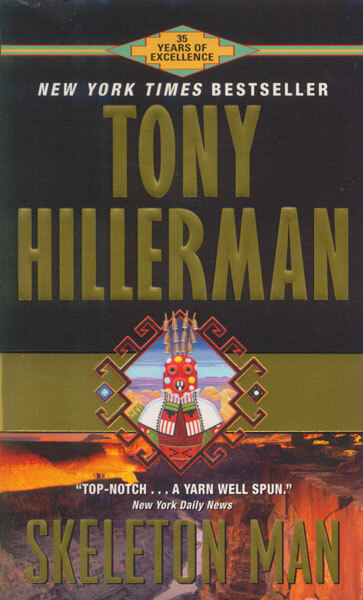 The trail leads back in time to a 1956 plane crash in the Grand Canyon. 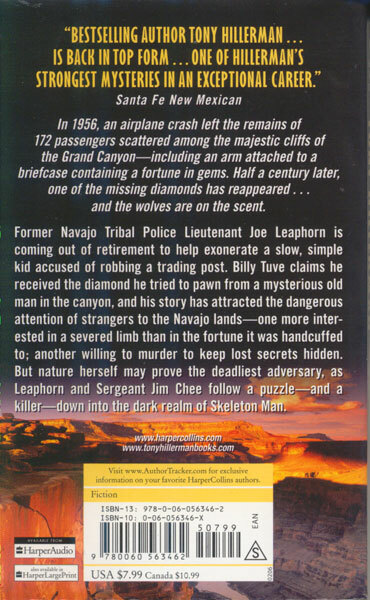 When one of the missing diamonds aboard that flight turns up, Leaphorn and his fellow officer Jim Chee are in for the case of their lives, entering the dark and uncertain world of Skeleton Man.